I cut 2 of the Reverse Confetti scalloped tag, and glued them together above the fold line (and only folded the front tag on that line). I wanted to tie a ribbon through the tag hole, but, alas, HOW DO YOU EVER GET THAT TO BE EVEN? I glued the hole punch back into the hole, and then mounted a tied ribbon over that with glue dots. I have been reading A LOT this summer (on book #19 now). On Monday, I finished The Radium Girls: The Dark Story of America’s Shining Women by Kate Moore. (and, I am posting an Amazon link, but I borrowed the e-book with my local library card through our state’s digital consortium – I am thrilled that our state has this free service!) What a fascinating (and sad) true story about young women painting clock and watch faces with radium to make them glow. And the companies that didn’t care what the radium did to the workers. Supplies: Stamps – Mama Elephant, paper – American Crafts Amy Tangerine On A Whim, Neenah Classic Crest Solar White, inks – VersaFine Onyx Black, dies – Mama Elephant (laptop), Reverse Confetti (rounded rectangle, scalloped tag), embossing powders – Filigree Fine Art Powder clear, Ranger Silver Pearl, grosgrain ribbon – Stampin’ Up! (retired). 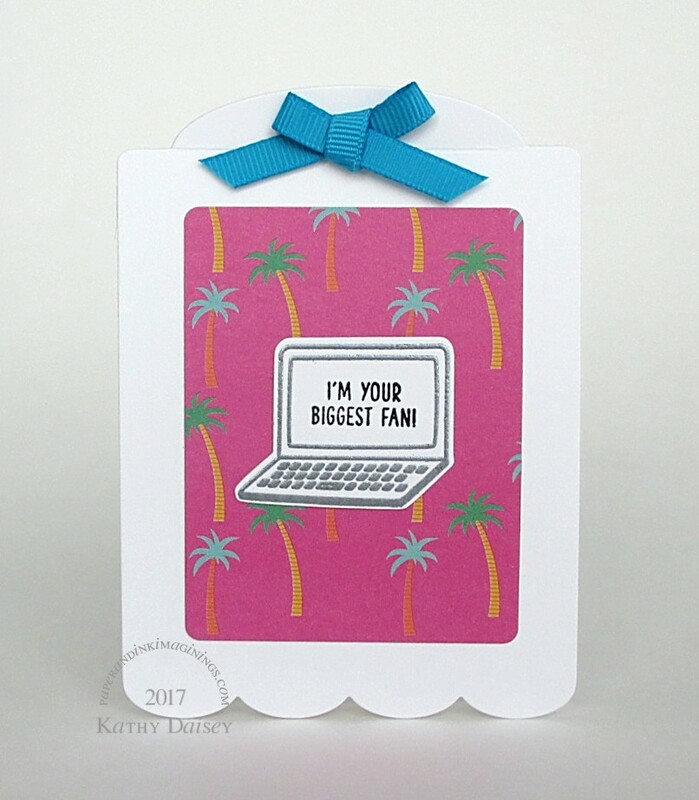 Categories: card, encouragement, I love you, note | Tags: American Crafts, Amy Tangerine, card, Mama Elephant, Neenah, On A Whim, Ranger, Reverse Confetti, Stampin' Up!, Tsukineko, VersaFine | Permalink.